Scotch makes an unexpected but delicious appearance in this sweet, creamy coffee cocktail. Add all the ingredients to an ice-filled shaker. 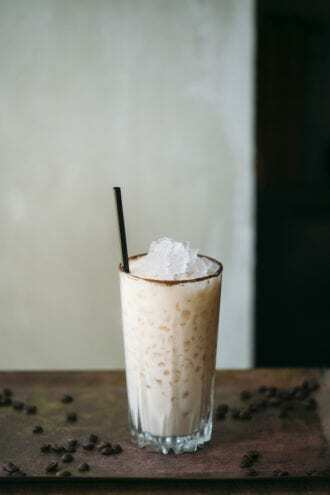 Shake and strain into a Collins glass filled with crushed ice and sprinkle with nutmeg. Rum-fortified sweetened condensed milk: Combine 4 oz. of sweetened condensed milk with 2 oz. of rum, then stir to blend. Chill until ready to use.